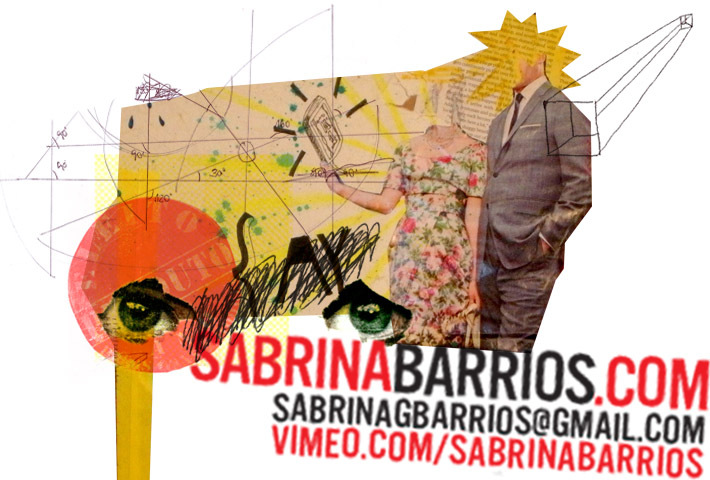 Sabrina received her Bachelors degree in Graphic Design from UFSM (Brazil) in 2004, following which she relocated to London and São Paulo, where she worked as a designer and illustrator. In 2006 Sabrina was selected for the prestigious residency, Curso Abril de Jornalismo. From there she worked for MTV and Época Negócios magazines (Ed. Abril and Globo-Condé Nast). In 2009 Sabrina moved to New York, where she completed her MFA in Painting from Brooklyn’s Pratt Institute. Since then she has been showing her paintings, drawings, videos and installations internationally, besides working as Art Director for The Project Relay LLC and Bloomberg L.P.
I’m concerned with questions that involve time, space, life and death. Man’s body and mind – as part of something bigger -, is my current investigation. I look for answers within myself. My research encompasses psychology, metaphysics, quantum mechanics and cosmology. Interaction with the viewer through tactile elements is another characteristic of my work, that challenges them to think different and experience the art. I often create geometric palpable volumes that must be physically navigated. These angular structures (even when bidimensional) are references to portals, which represent a metaphorical gateway into parallel universes and embody my psychic concerns – I sometimes imagine how my life could be drastically different if I had made other choices. I’m inspired by the Brazilian Neo-Concrete movement of the 60’s and its insights. My art plays with void versus solid, structure versus chaos, as well as illusion and scale, in hopes to give the observer a different perspective of the whole in relation to the self. 2004 Universidade Federal de Santa Maria, RS, Brazil | B.A. – Graphic Design.